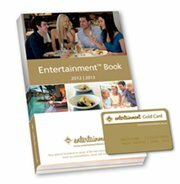 The Entertainment™ Book contains hundreds of valuable up to 50% off and 2-for-1 offers from many of the best restaurants, arts, attractions, hotel accommodation, travel and much more! The Books are only sold by community groups and organisations as a means of raising funds for their causes. So it's a win win - explore Australia, eat Australia with the Entertainment Book - and get minimum 25% off at participating places. There are various editions available depending on which part of Australia you are visiting. For more details and to look at the offers inside each book - visit the Entertainment Book. Pros: Offers are valid from 1 June to 31 May each year. I've bought the "Sydney" book each year for the last 5 years. Costs $65, but I've saved hundreds of dollars, so the savings have far outweighed the cost. Some of Sydney's best restaurants and tourist destinations are in here. Cons: It's a fairly thick book so it may be hard to carry around. So it helps if you are super organised and pull out the coupons you need first then plan around it.